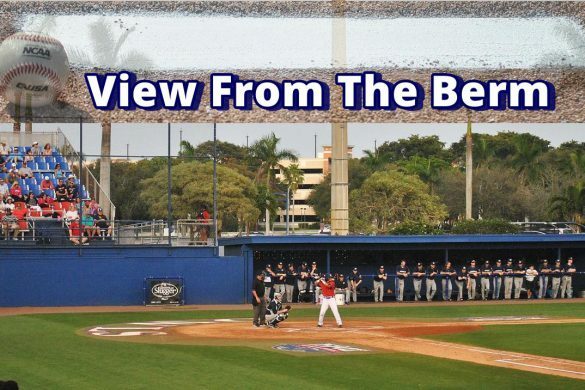 BOCA RATON – Coming off a disappointing 5-7 season, FAU entered the offseason with plenty of needs to fill. 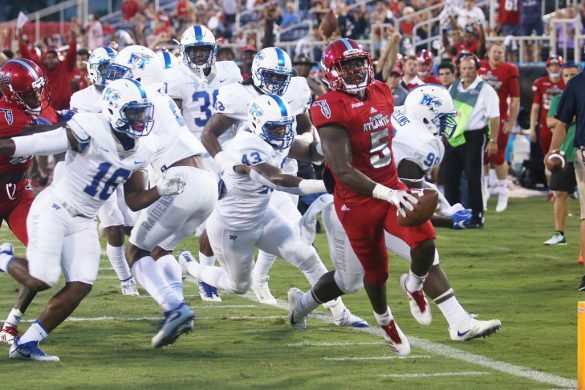 The early departure of running backs Devin Singletary and Kerrith Whyte, wide receiver Jovon Durante and quarterback De’Andre Johnson created even more openings on the Owls’ depth chart and may have caused some reshuffling of priorities. 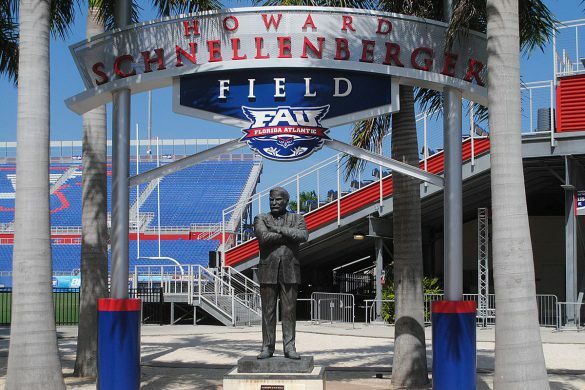 With the early signing period beginning on Wednesday and running through Friday, FAU is about to take the next step in filling some of those holes. 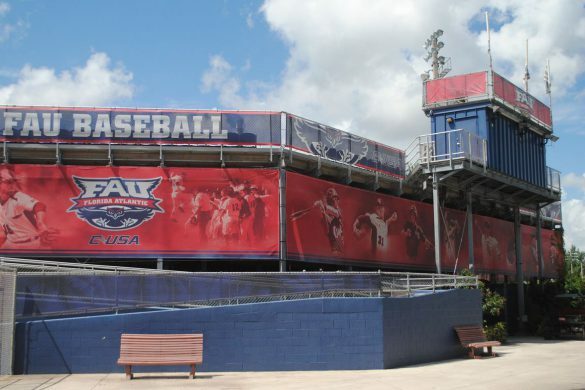 What are FAU’s biggest positions of need? Let’s answer that question as we head into the early signing period. 1. RUNNING BACK: The departures of Singletary (not much of a surprise) and Whyte (much more surprising) left the Owls without a proven ball carrier. Tyrek Tisdale rushed for 30 yards as a true freshman and didn’t carry the ball at all last year. Malcom Davidson showed a good burst on one of his two 2018 runs as a true freshman. James Charles led all returning rushers in carries last season with three. 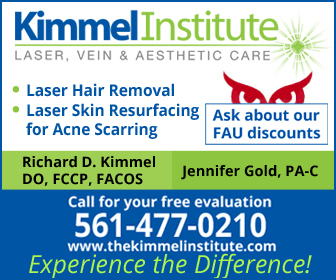 The Remedy: FAU flipped Tallahassee-Rickards running back Kelvin Dean from Temple this weekend. Like Singletary, Dean has demonstrated the ability to regularly find the end zone. “I can really do anything they need me to do,” Dean said. 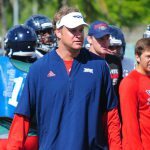 Dean intends to sign with FAU this week. 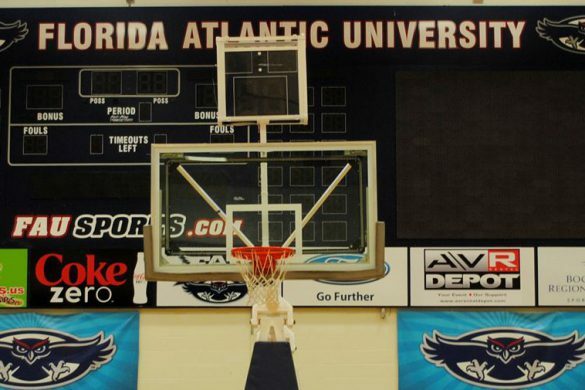 FAU is also hoping B. J. Emmons will finally make his long-awaited arrival in Boca Raton come January. 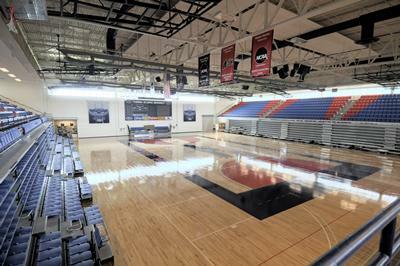 The former Alabama running back who played at Hutchinson C. C. in 2017 spent the 2018 fall semester away from FAU completing some academic work. 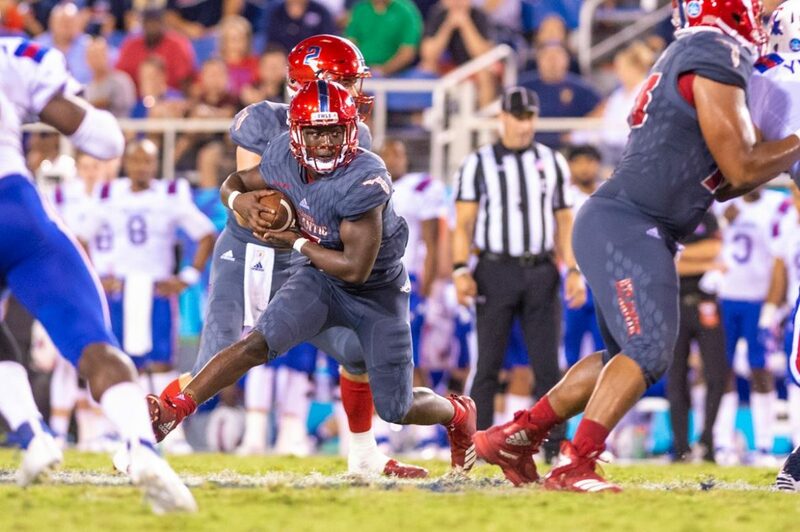 Recovering from an ACL injury, Dwyer running back James Meeks is expected to sign in February but will grayshirt, enrolling at FAU in January of 2020. 2. LINEBACKER: No position was hit harder by graduation than this spot. 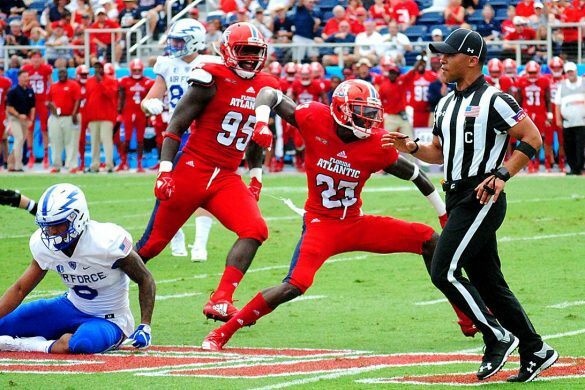 The Owls lost senior leader Azeez Al-Shaair first to a knee injury, then, hopefully, to the NFL. 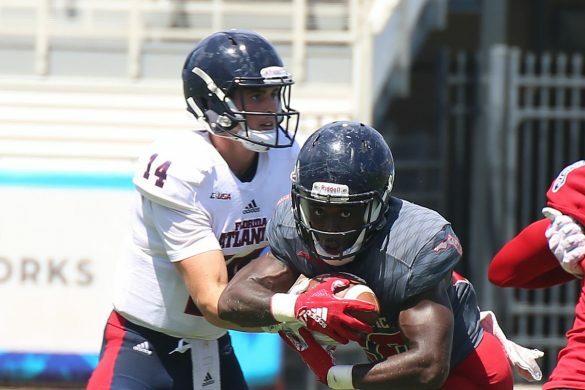 Andrew Soroh, Khantrell Burden and Kris Harris also graduated, leaving Rashad Smith, Akileis Leroy, Hosea Barnwell and Chase Lasater to comprise the Owls two-deep entering spring. The Remedy: Hutchinson CC linebacker Caliph Brice committed to FAU on Monday and says he will sign on Wednesday. Brice recorded 51 tackles and provided excellent pass coverage for the Blue Dragons in 2018. “I’m excited,” Brice said. “Me and my family’s hyped up.” Miami-Southridge’s Diamante Howard will also sign with FAU on Wednesday and, at 6-foot-2 and 185 pounds, has the kind of talent to make an instant impact. The same can be said for 6-foot-1, 195 pound Miami-Palmetto linebacker Eddie Williams, who also says he’ll sign with FAU in the coming days. 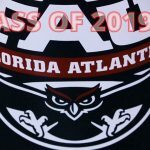 Tampa Tech linebacker Joe Lewis told OwlAccess.com he will sign with the Owls on Wednesday. Lewis, however, could move end up moving to safety, playing as a hybrid. West Florida Tech linebacker Antarrius Moultre is also committed to the Owls but is not expected to sign this week. 3. 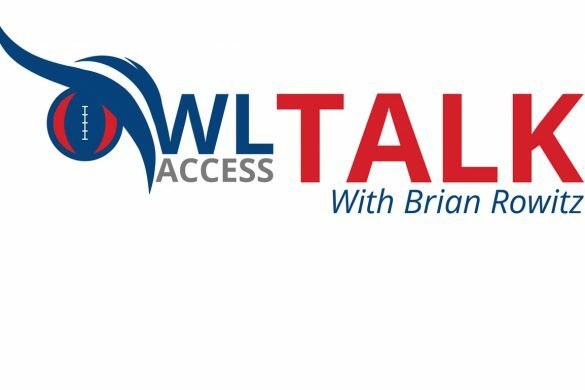 WIDE RECEIVER: Durante leaving early surprised many, but not those close to the football program, so the Owls were preparing for this eventuality. Durante led an under-performing receiving unit in receptions and receiving yards in 2018. Spring practice will probably begin with Pico Harrison and John Mitchell as starters at wide out. Those two traded starts during the season, showing flashes but lacking consistency. 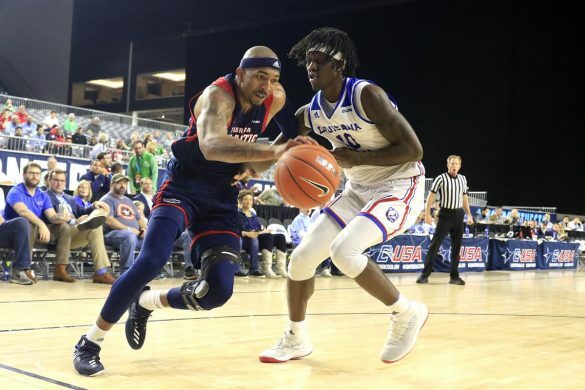 Auburn transfer Kyle Davis, who sat out 2018 after transferring, is also in the mix. 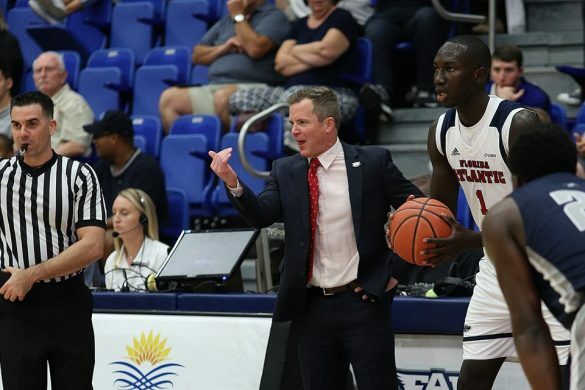 The Remedy: FAU has to hope that much of the improvement at this position can come from within. The Owls fired wide receivers coach Gary Harrell, replacing him with D.J. McCarthy. It will be McCarthy’s job to develop consistency from Harrison and Mitchell, and to bring Willie Wright back to his freshman performance levels. That doesn’t mean the Owls won’t look to add via signing day. A.J. Bryant caught 19 passes for 335 yards and four touchdowns in nine games for the College of the Sequoias. 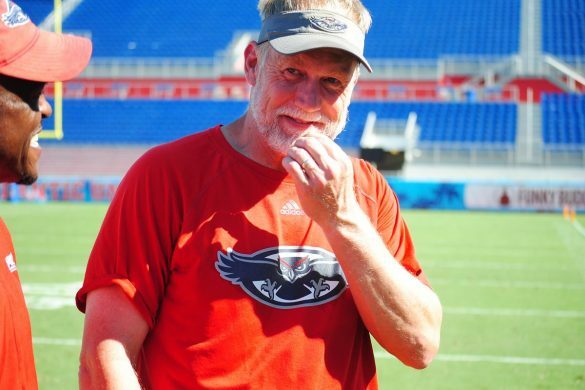 Expect the Owls to add at least one more receiver in this class, possibly pulling a surprise in the coming days with another junior college player. Such signings haven’t produced results during the Kiffin era, bringing Nero Nelson, DeSean Holmes and DeAndre McNeal to FAU. That trio combined to catch seven passes in 2018 – six by Holmes. 4. 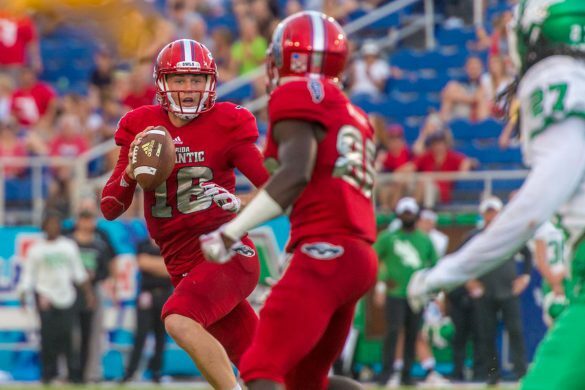 DEFENSIVE END: FAU lost starter Hunter Snyder and sack leader Ernest Bagner to graduation. 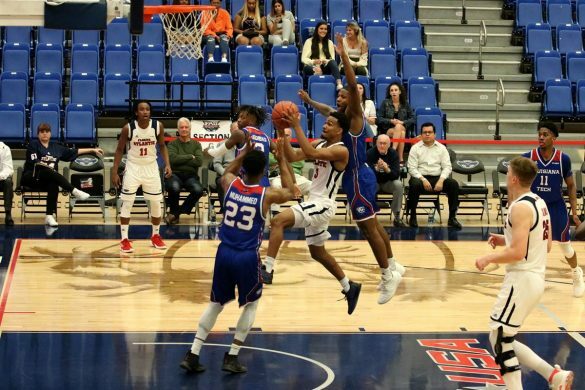 Starter Leighton McCarthy returns, as does reserve Tim Bonner – the former “Last Chance U” star who has flashed ability at times but has yet to demonstrate a mastery of the defense. 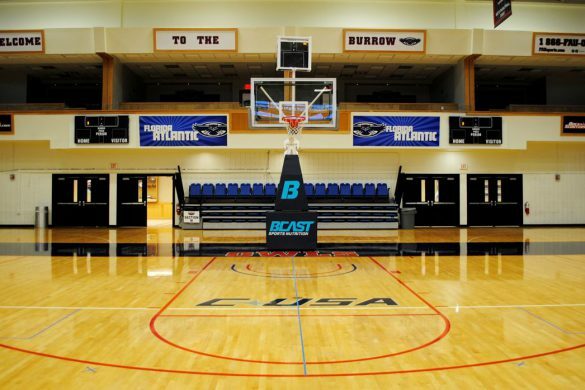 The Owls lack depth beyond that. 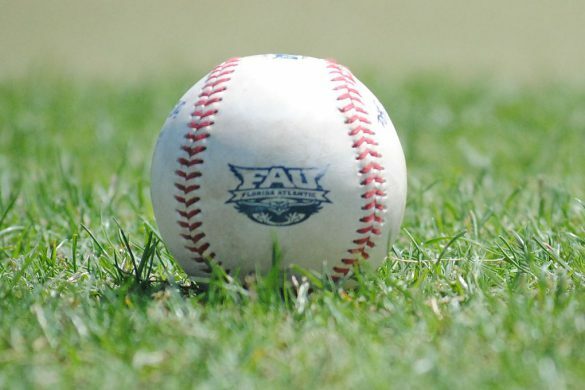 The Remedy: In need of immediate reinforcements at a position that requires speed and strength, FAU will likely look for a graduate transfer or junior college help. 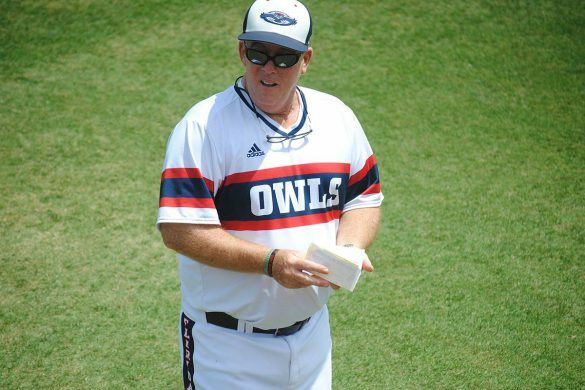 Right now that player isn’t on the Owls’ known commitment board, but an early signing surprise shouldn’t be ruled out. 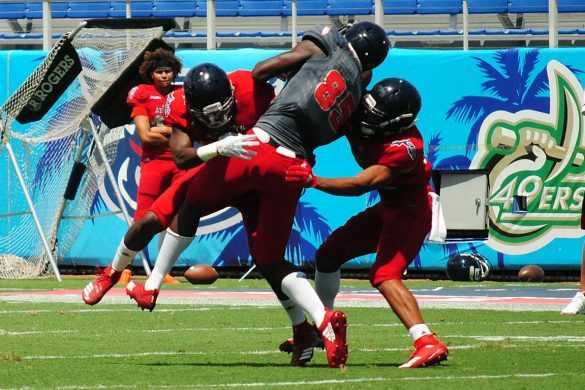 Miami-Edison defensive end Travon Thomas says he’s committed to FAU but doesn’t plan to sign this week. 5. 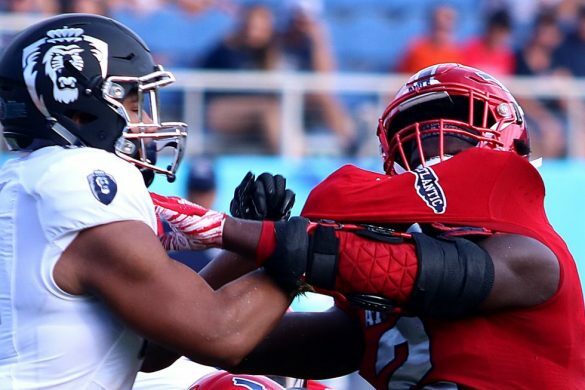 OFFENSIVE LINE: FAU honored three starting graduating seniors prior to the season finale against Charlotte, then promptly attempted to get one back. 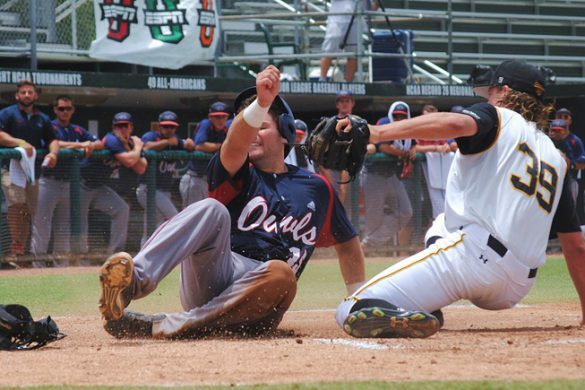 The Owls are expecting the NCAA to grant center Junior Diaz an extra year of eligibility. 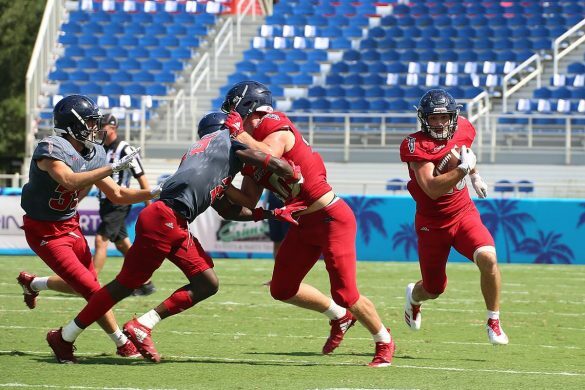 FAU has redshirt freshmen Marquice Robinson and Doug Johnson to potentially replace Reggie Bain at tackle, and Nick Weber could replace Antonio Riles. 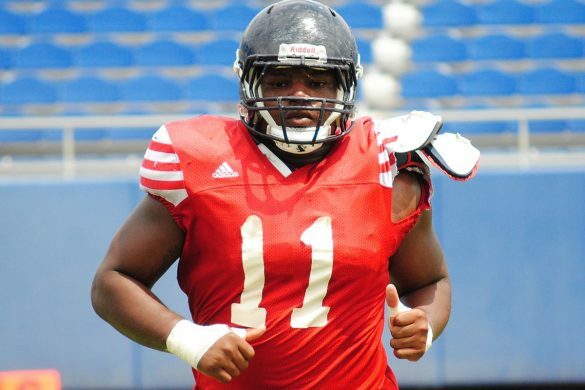 The Remedy: FAU doesn’t have a reported commitment along the offensive line, but one name to watch in the coming days is Fort Scott guard Desmond Noel. 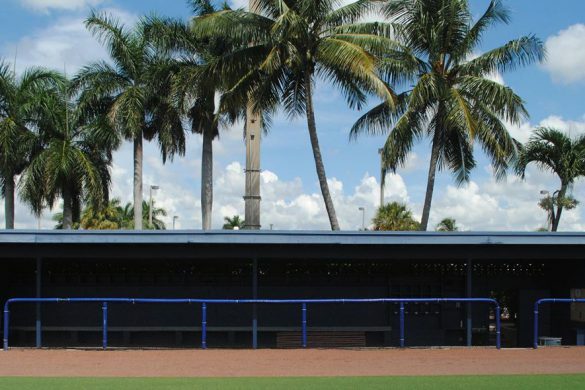 The Colorado St. commit visited FAU two weekends ago and could surprise by signing with the Owls this week. 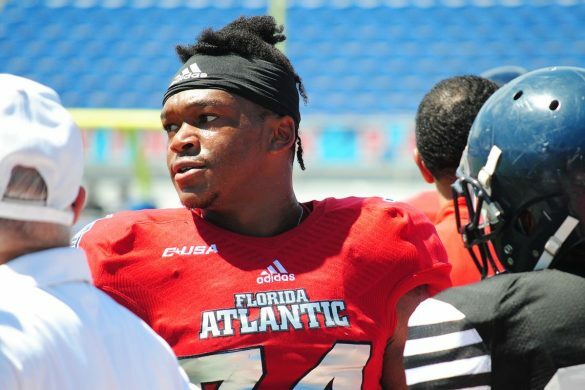 FAU is also hot on the trial of Autauga (Ala.) offensive lineman Adarius Tolliver and Fort Lauderdale tackle Kaleb Boateng. 6. 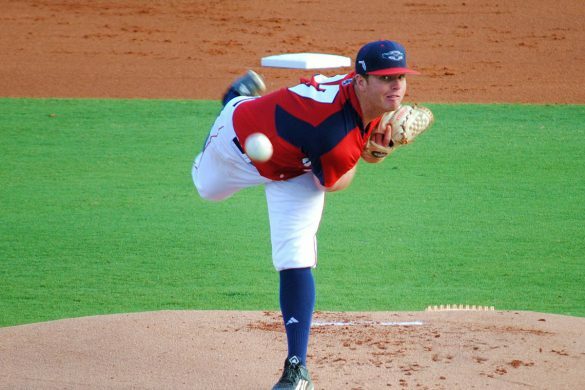 QUARTERBACK: Yes, the Owls have starter Chris Robison returning for his redshirt sophomore season and former Florida Mr. Football Nick Tronti ready to challenge for the job. But the Owls don’t have a proven starter, which means they would be wide to sign at least one more quarterback this year. The Remedy: Dwyer’s Gio Richardson was one of the first players to commit to FAU’s 2019 recruiting class but he won’t be signing this week. There’s also some question as to whether Richardson even sticks at quarterback at the college level. The player to watch here is Greenville (Ala.) quarterback Javion Posey. 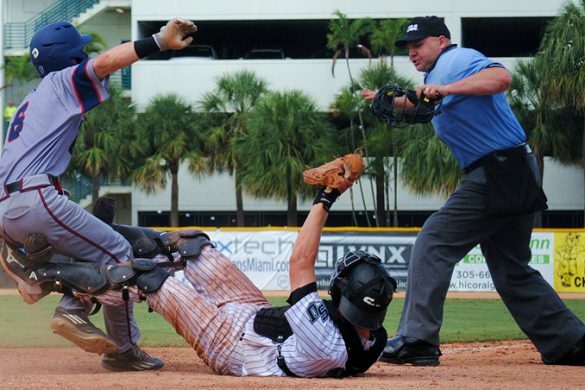 The former Western Kentucky commit visited FAU this past weekend and could sign this week. 7. KICKER: With Greg Joseph now kicking for the Cleveland Browns, Vladi Rivas struggled in his first season as the Owls’ kicker, becoming a frequent target of Lane Kiffin’s frustration. The Remedy: Kiffin didn’t sign a kicker in either of his first two classes, but seems intent on inking a sense of security this time around. 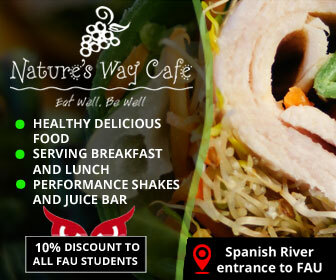 FAU brought St. Frances Academy (Mary.) kicker Jake Larson in for a visit a couple weeks ago and offered him. 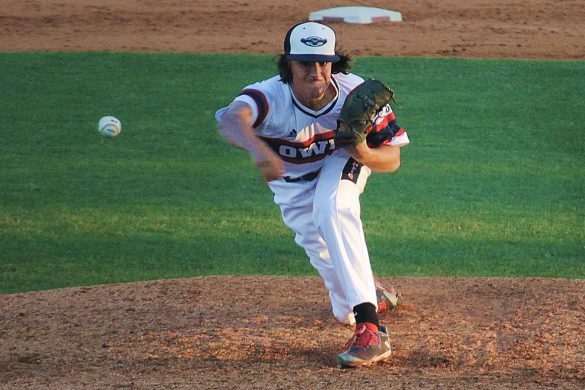 The Owls have also offered Colquitt County (Ga.) Ryan Fitzgerald.